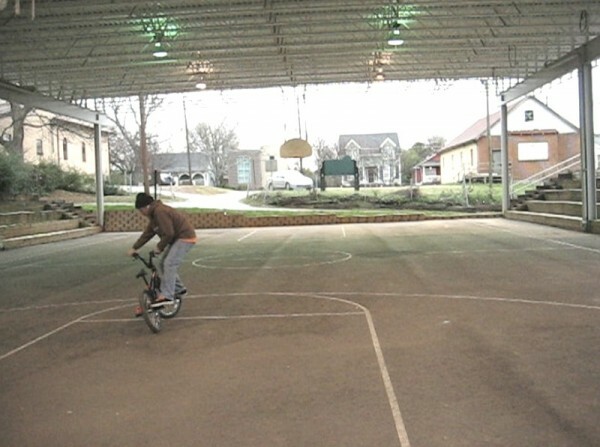 Covered basketball courts, stays pretty quiet most of the time. Tennis courts on same property. ahh slossy i believe it's actually asphalt.